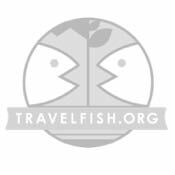 A recent addition to Mandalay’s flashpacker range is conveniently located Hotel 8, and it represents a very good deal for its asking rates. The typically modern exterior, in tall, thin Mandalay hotel-style is even less enticing than most. Ad Book now! Rates from US$18.09++. Average rating 8.8 from 695 reviews. With lots of reflective glass and grey wall panels if they didn’t have a hotel sign out front you’d assume it was an office or bank. However, true to much of the city’s accommodation, the outside is deceptive and the interior is definitely above average. They had slashed standard rates when we visited during off season and were offering decently sized, clean and well-appointed rooms for a bargain $25 and $30. The air-con rooms come with air-con, kettles for tea and coffee, minibars, cable TV and good buffet breakfasts. 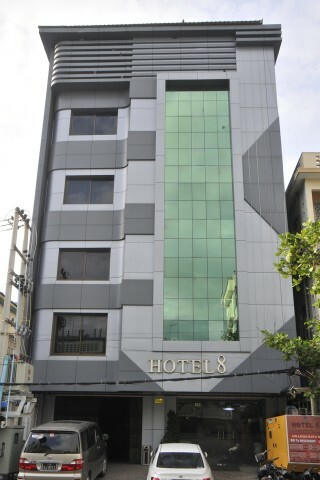 The well-trained and enthusiastic staff are a key feature and definitely raise Hotel 8 up a notch. Furniture and decoration are limited but beds are big and deluxe rooms in particular very spacious. Sparkling bathrooms are also spotless and reasonable sized. With only four floors of rooms, they fill up quickly during high season and so regrettably can get away with doubling their rates during that period. The location on Street 29, between 82nd and 83rd, is just around the corner from the night markets and close to several good restaurants, as well as being within striking distance of the central palace area. There’s an increasing amount of competition in this range and some of the new joints offer very good rates. Longerstanding ones maintaining exaggerated prices are having to watch out and Hotel 8 is a good case in point. Check rates at Hotel 8 on Booking.com.